Moyar illustrates how Obama's policies led to the rise of ISIS and how conditions are primed for future cataclysms. He shows how the killing of the U.S. ambassador at Benghazi was the result of a light-footprint approach in Libya and reveals the problems stemming from our reliance on drone strikes. The ongoing military drawdown and international perceptions of Obama's passivity have heightened the risks to America from her enemies. 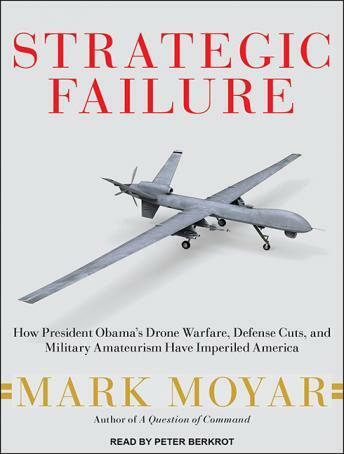 Drawing upon the lessons of Obama's presidency, Moyar concludes by identifying a better way for U.S. national security in the twenty-first century. Strategic Failure is a timely and fascinating opening salvo in the looming 2016 showdown between Republican and Democratic presidential contenders.